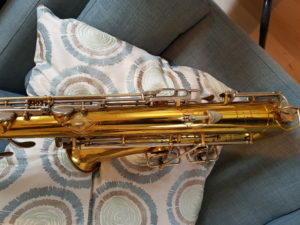 King Super 20 tenor saxophone – with full pearls. 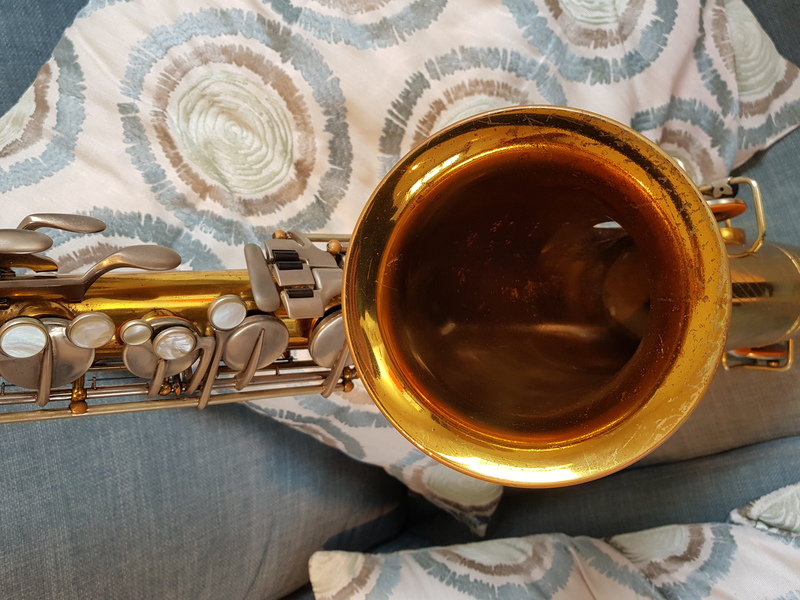 Mouthpiece Cafe Jerry Bergonzi Supreme 7* Tenor mouthpiece. 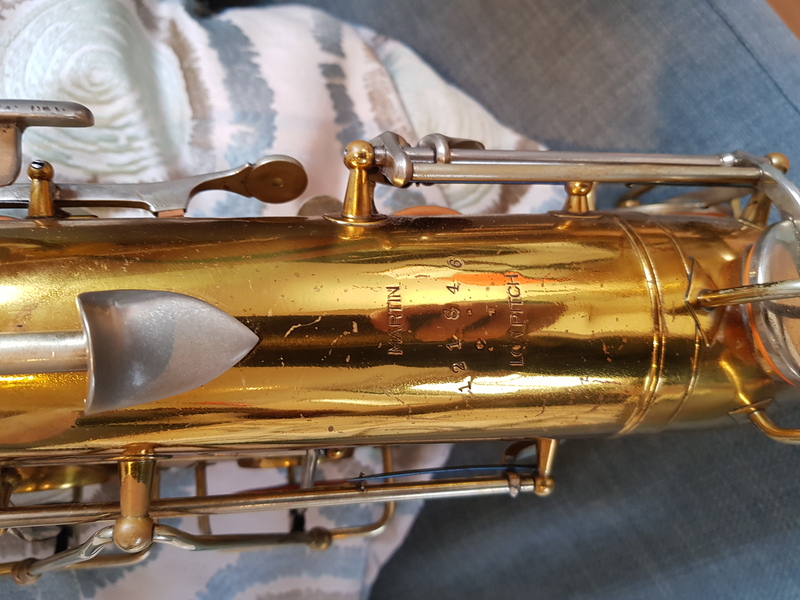 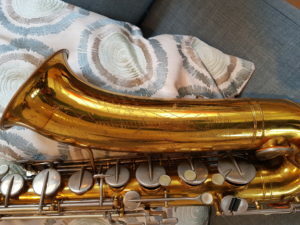 Selmer Mark 6 Tenor saxophone. 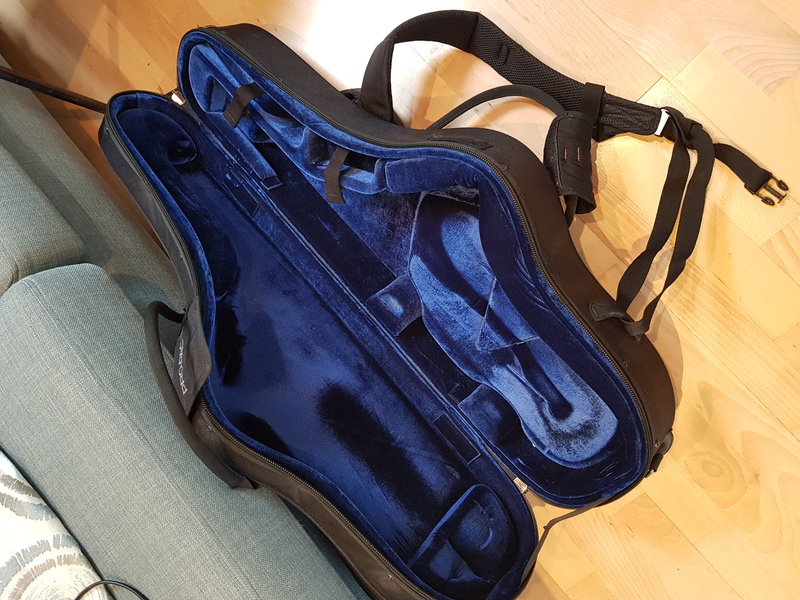 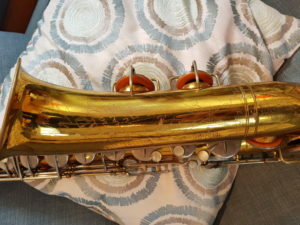 Yamaha Tenor Sax Prototype – pre 61 model serial no 0056 with high F#. 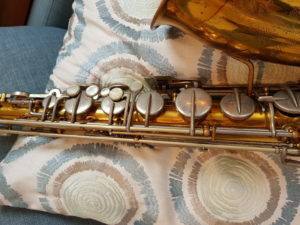 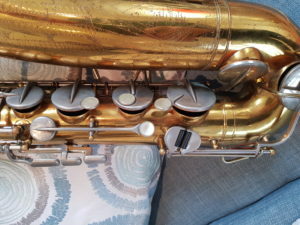 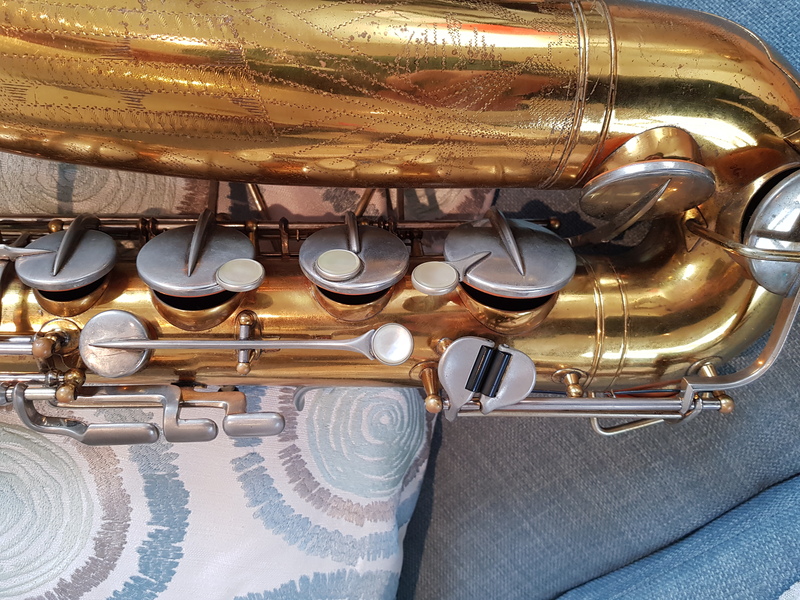 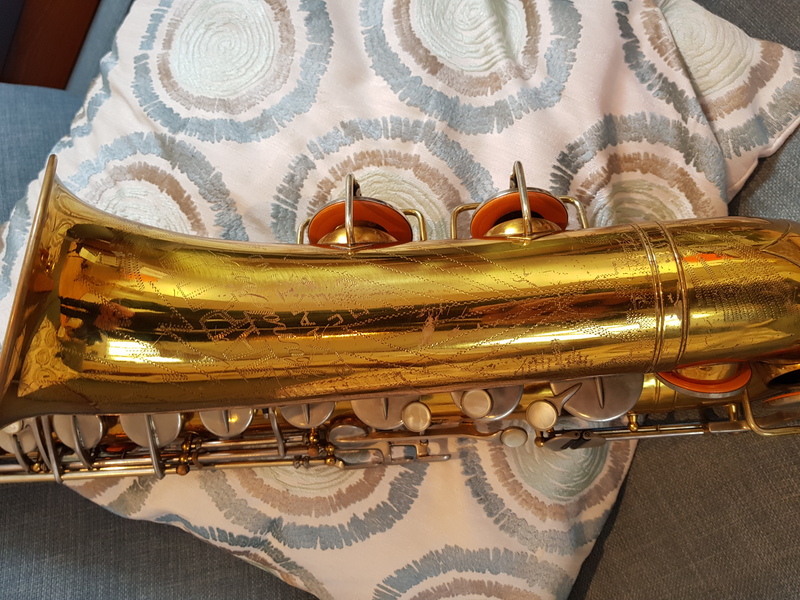 Selmer Paris Mark 6 Tenor saxophone. 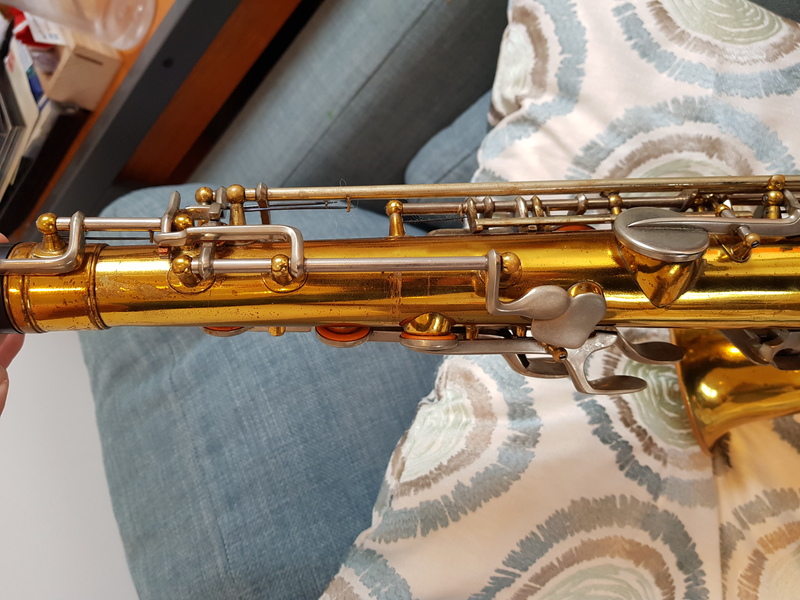 King Super 20 Tenor saxophone with Double socket crook and full pearls. 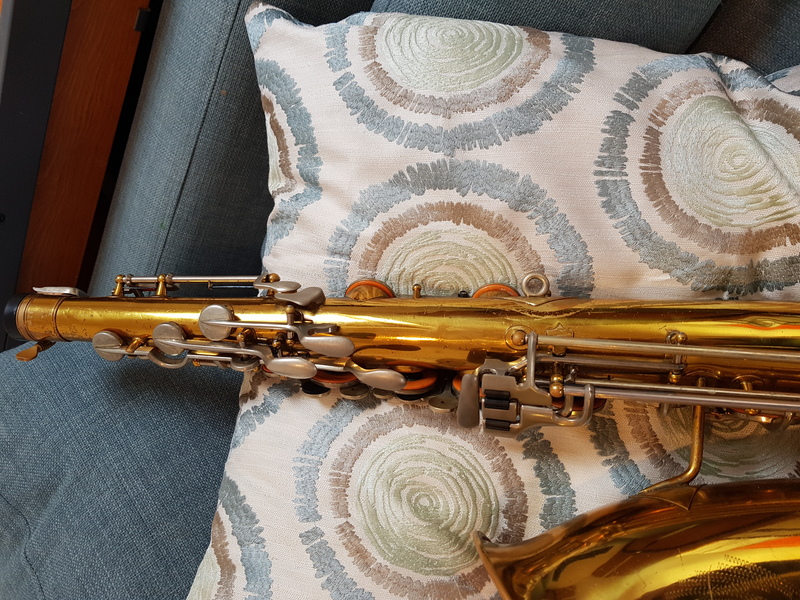 Fitting a floor peg/spike to a Selmer Series II Baritone Saxophone. 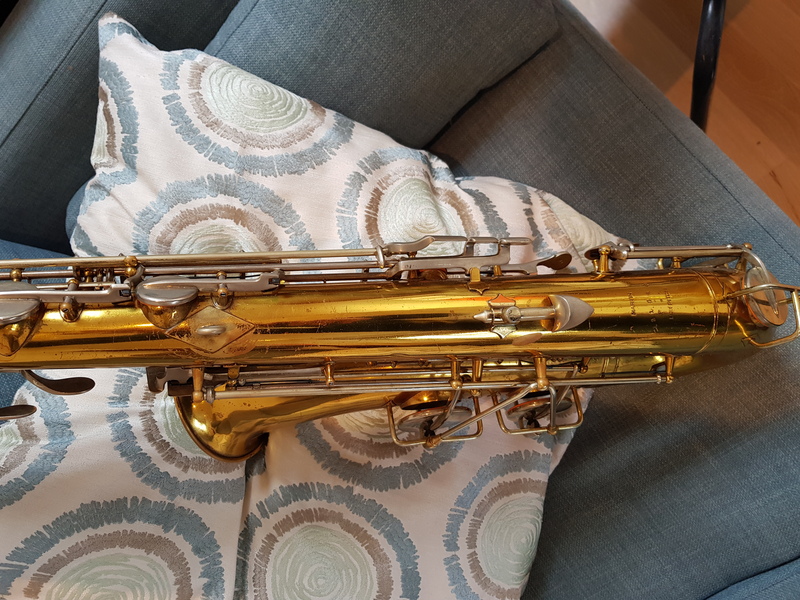 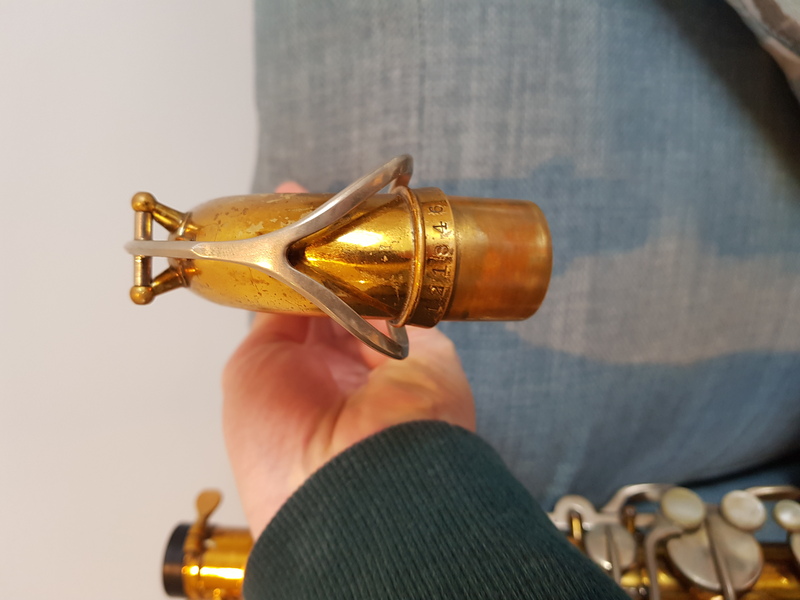 Selmer Mk 7 Tenor saxophone. 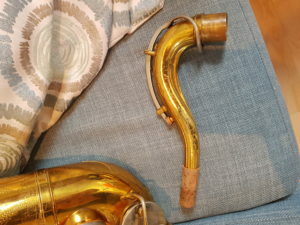 Buffet E13 Bell tenon segment graft. 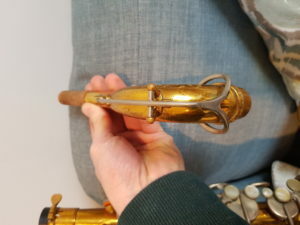 Fabrication and Fitting of Patches. Conn Sousaphone Valve Casing Thread Collar Fabrication. Martin Handcraft Committee “Skyline” tenor saxophone. 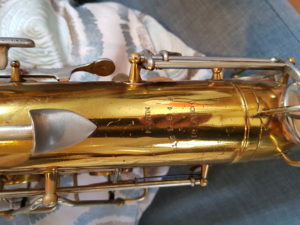 Serial no 121846 made in 1938. 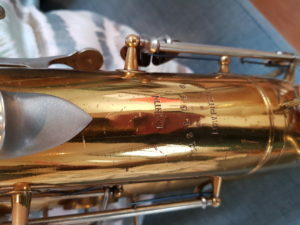 Matching serial number on crook. 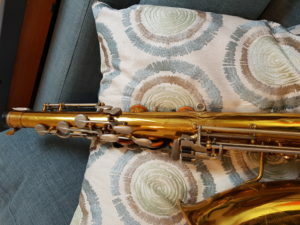 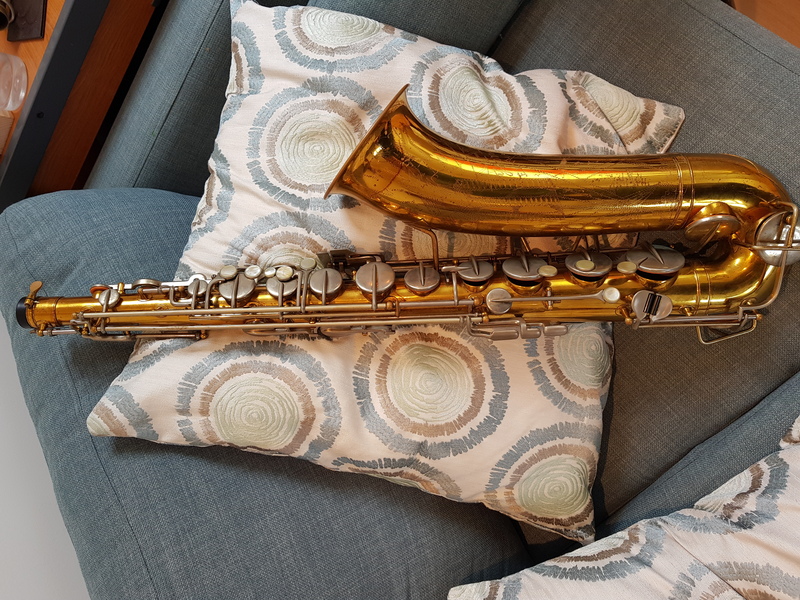 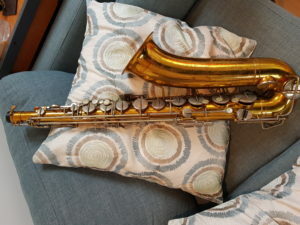 This sax is being sold on commission for a pro playing friend.